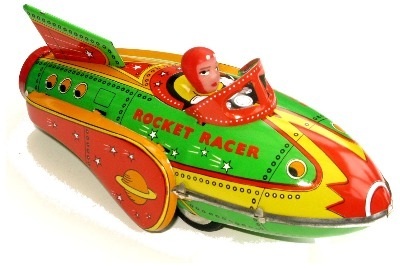 Schylling Rocket Racer - Friction powered Rocket. clicking motor noise. The pilots head is made from rubber. Overall condition is excellent with very minor paint chipping to the fin on top.